The Centre of Excellence in Natural Resource Management has state-of-the-art teaching and research laboratory spaces. Teaching Laboratory with facilities for up to 12 chemistry students or 24 biology students; including a fume hood. Analytical Laboratory including a fume hood, and reticulated nitrogen and carbon dioxide. General Research Laboratory and a Field Processing area. 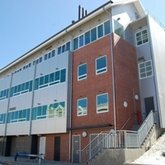 The UWA Albany Sciences Building and UWA Albany Centre have many rooms with capacities ranging from 10 to 75 people. These rooms are available for teaching, meetings, workshops, seminars etc.